On 21 May, Jack had the opportunity to present the Archimedes Drive in the innovation marketplace at the Philips Innovation Award – the largest student run entrepreneurial award in The Netherlands. Attendees included former prime minister Jan Peter Balkenende, former European commissioner Neelie Kroes, and Frans van Houten, CEO of Philips. 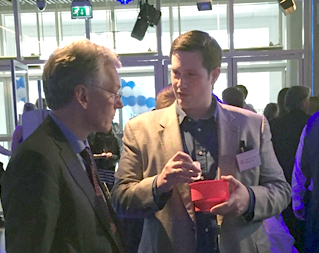 Mr. van Houten was so impressed with the drive, that he extended a personal invitation to work with the Philips Innovation Services, located on Philips High Tech campus in Eindhoven.